For decades, thrill seekers at Niagara Falls have gone over the brink in barrels, and now, officials want it to be the place the rest of us go for outdoor adventure, too. A marketing effort has been launched to rebrand the New York state shore of the falls as a natural playground. It should be explored on foot, bike, boat or helicopter. U.S. tourism officials are always in competition with their counterparts on the heavily developed Canadian side of the attraction. The Americans say their new focus embraces the New York side's less commercial feel. They hope it will attract more visitors for longer stays. "What people are wanting to have on a getaway or a vacation is a time of experience and not just to come and witness or see and hear, but actually experience and touch and feel and do," said John Percy. He is president and chief executive of Niagara Tourism & Convention Corp. It has been renamed Destination Niagara USA. "Niagara Falls is the embodiment of America's adventurous spirit," he said. The refocusing comes just in time for the busy season. It follows interviews, focus groups and visitor surveys. These found that those who visit and live in the region most value its scenic, historical and natural attributes. And visitors are drawn to outdoor adventure, officials said. The findings align with support for the ongoing removal of a highway. It was built along the Niagara River. This will increase access to the water's edge, as well as strong opposition to a proposal to build a lodge on rustic Goat Island inside Niagara Falls State Park. Opponents of the lodge cite renowned landscape architect Frederick Law Olmsted's declaration. He made it more than 100 years ago. He said the area should be off limits to developers. It's a marked contrast to Niagara Falls, Ontario. There, neon-lit museums, rides and restaurants offer a carnival-like atmosphere at the water's edge. Niagara Falls State Park sees about 8 million visitors every year. They come from all over the world. It is a number that has been steadily rising, Percy said, along with hotel visits and dollars spent. I think branding is so important because it truly helps the money brought in by the company. Nigeria falls is a highly visited tourist attraction and is increasing, this isn't because of branding. They make it look very good so people will come, this is important because that means more people more money. Branding is important so things (companys, music, people) can get out there in the world and then people know these things and everything about it. Another note, a lot of people, companys, or even hotels/parks get the recognition they may deserve. Branding is so important for many reasons. 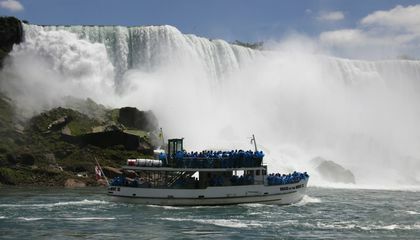 Niagara Falls is a main tourist attraction in the United States, therefore,we want to do what we can to help more tourist come to see it. So,if we want to bring more people in we need to make it more exciting or interesting.Which they have done by building museums,rides,and restaurants. Branding for Niagara Falls is so important because the US and Canada share the falls and are constantly finding ways to attract more visitors. Tourist tend to lean towards the more branded areas, which is why Canada tens to receive more visitors. In response to "A barrel of fun: Niagara Falls touts thrills in rebranding, I disagree that this is a barrel of fun. One reason I disagree is that the water fall might hit you. Another reason is that it is so loud you can't hear yourself speak. It says in the article you are on a boat to a waterfall that could flip your boat over. A third reason is they make you want to go so you spend money.Even though it might be fun, I think still think its not worth the money. Branding is very important because now people learn and see things on the internet and social media. Branding gets your product/place out for people to see and for most businesses that is how they get most of their customers to make their money. Branding is important because it attracts visitors and other people to a certain area. When more tourists come, more money is brought in. 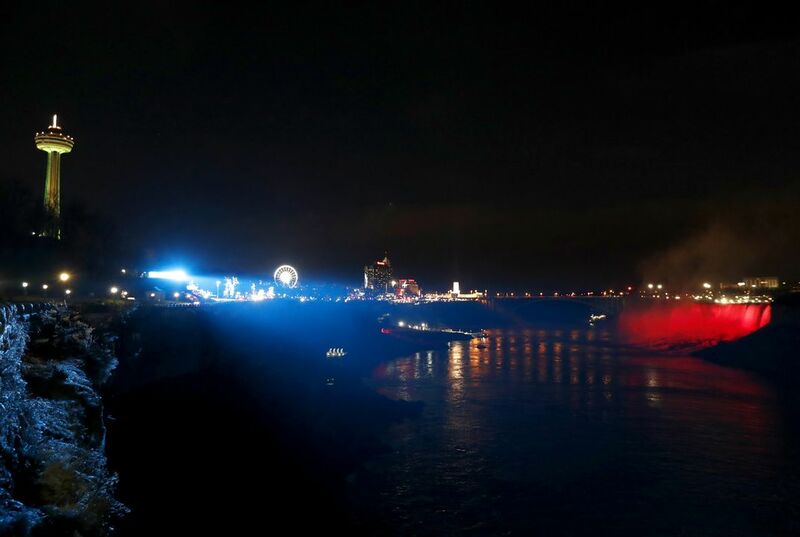 By making Niagara Falls look better in a number of ways, more people come. I believe branding is an important part of marketing. I think that it will bring in more money and help adventure seekers find a more nature feel and less of a commercial feel. Because it helps make more money and as the time goes on the visiting population steadily increases and attracts people to go there that is why I think it is very important. Branding is so important because it shows what and why it is there and where it came from or who's it is. Also it gives a good time for profits to be made and more people to come again. And of course it makes it look good.